Armstrong spent nearly a decade at Volvo. He starts at Getrag Ford Transmissions Jan. 1. Steven Armstrong, the former chief operating officer of Volvo Car Corp., has been named COO of Ford Motor Co.’s joint venture transmission supplier. The newly created position puts Armstrong in charge of Getrag Ford Transmissions GmbH starting Jan. 1. He will report to Getrag Corporate Group CEO Mihir Kotecha, Getrag announced on Thursday. Armstrong moved to Ford of Europe in October following a management reshuffle under new CEO Volvo Stefan Jacoby, who took charge of the Swedish automaker after Ford sold it to Zhejiang Geely Holding Group Co. for $1.3 billion in August. Armstrong, 46, started at Volvo in 2001 as senior vice president of purchasing. He was promoted to COO in 2006. Before joining Volvo, the UK native was vice president of purchasing at Auto Alliance International, a U.S.-based joint venture between Ford and Mazda Motor Corp. 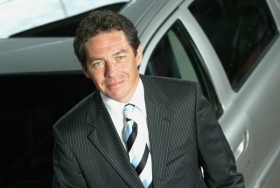 He started his automotive career with Jaguar in 1987. Armstrong has a bachelor's degree in business from the University of East London. Ford and Germany’s Getrag invested 550 million euros to start their Cologne-based transmission joint venture in 2001. In 2009, the company, which employs 4,400 people and has plants in Germany, France, the UK and Slovakia, reported sales of 930 million euros ($1.23 billion). It produced 1.58 million transmissions last year.